Jaipur is a famous for all kinds of sweets let it be Plain, Desi, Ghee or Mawa. These jaipur sweets have become reputed mainly due the brands like LMB Sweets, Agarwal sweets, and Halwai sweets. Get sweets online Jaipur from these sweet makers from OrderYourChoice which is always at your service to take online sweets delivery in Jaipur. Place an order for your Jaipur sweets online and we are ready to provide online sweets delivery in Jaipur or anywhere in India within the shortest possible time. Online sweets delivery in Jaipur is possible because of our network of logistics team who strive hard so that you can get delivery of your famous Jaipur sweets in Jaipur or across India. Our logistics team makes sure that your Jaipur sweets are enclosed in special containers to preserve their freshness during the time of online sweets delivery in Jaipur or across India. We procure quality sweets from only top sweet shops in Jaipur like Agarwal Sweets, Ridhi Sidhi, Bhagat Mishthan, Sodhani Sweets, Laxmi Mishthan Bhandar, Kesar sweets, Doodh Misthan Bhandar. The city of forts can now enjoy a huge array of sweets and savories typical to any area or state of India. 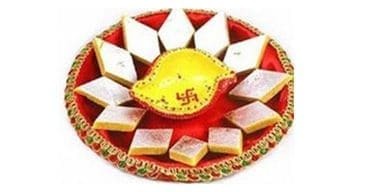 We deal with wide range world’s finest Jaipur sweets online our range of Jaipur sweets includes Rasgulla, Kaju Anjeer Roll, Kaju Katli, Motichoor Laddu, Kessar Kaju Sandesh, Malai Peda and Gajar Halwa. In addition to the local specialties including the aromatic and tasty Burfis, Besan Chakkis and Badam Katlis. 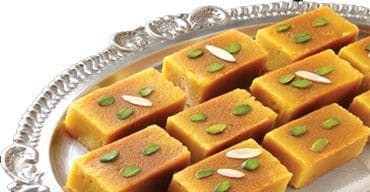 Even if your loved ones in Chennai wish to taste some of the authentic sweets and savories of Jaipur, they need not have to travel all the way to Jaipur but have to simply place the order for Jaipur sweets online and we have them delivered at their doorsteps. 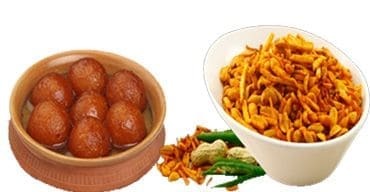 Jaipur sweets of orderyourchoice.com come in various unique tastes, flavors, and shapes and this includes the Parwal sweet, Panchdhari Laddus or Raj Bhog of the famous Sri Agarwal Sweet Shop. We only maintain tie-up with established sweet shops of Jaipur which you will discover upon visiting our site and seeing the display of our Jaipur sweets online, your mouth would definitely yearn to taste the rest of the delicacies of Jaipur too. Why wait and think of excuses when you can Jaipur sweets online with just the click of the mouse. Laxmi Misthan Bhandar also shortly known as LMB is a sweet shop in The Walled City has gained a reputation for providing a range of delicious sweets. LMB’s specialty range of sweets include Paneer Ghewar, Sohan Halwa etc. are their unique specialty. Bombay Misthan Bhandar also called as BMB is located near Sanganeri Gate is a sweet shop plus restaurant. It grabs the attention of Jaipurites due to its exclusive Rajasthani dishes like Kanji Vada and sweets like Rasgulla, Ghewar etc. Sodhani sweets are famous, for its delicious sweets like Jalebi, Rasgulla, Gulab Jaamun etc. which are loved by the natives of Jaipur. Rawat Misthan located in the Walled City, the sweet shop renowned for its Pyaz ki Kachori. But more than this, they also provide a wide variety of sweets to choose from like Ghewar, Kaju Roll, Kaju Kathli, Motichoor Laddu etc. So if you have a sweet tooth, you must definitely give this a try. Agarwal sweets was set up to provide best qualities and services to customers. The whole production is done at their Work Shop and is made under strict Quality Control to maintain the taste and the quality, which is their “Unique Selling Point" to get the best quality which gets the taste buds tingling for all. They are famous for the Qualities as well as their packaging’s which suits your occasions. Apart from self-indulgence, you can even opt to send online Jaipur sweets to anyone in the form of Gift Boxes and Combos available here. The free home delivery option of OYC can be utilized to send sweets as gifts while the same day delivery option is also available. Though there are innumerable choices available when you choose to buy Jaipur sweets online, OYC is the largest and the best. We also undertake bulk orders that can be delivered intact and on-time. The special occasion offers, general offers, and discounts for first-time buyers and bulk orders are sure to make you jump in joy for making the right choice go for OrderYourChoice. 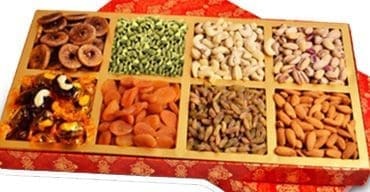 Jaipur sweets can be combined other like gift items let it be, nuts and dry fruit hampers or combo gifts comprising of chocolates, flowers and Gifts like Diyas, Home décor items, accessories, Greeting cards and more. Use your knowledge about the person, their preferences, and your creativity to come up with an extraordinary gift hamper of sorts. Even a sweet box sent along with just a greeting card can speak volumes about your emotions and your gesture. After all, gifts should bring joy to both the person who is gifting it and the one who is receiving it. Think for a moment that you are receiving an ornate box full of Kaju Katlis or Badam, Pista Rolls along with a love note from your life partner, amazing isn’t it. That is the kind of a magical moment OYC would like to create for all. Normally, special occasions remain special only when they are remembered and acknowledged by the near and dear. It might add value to a longtime friendship, love to parenthood or hail an accomplishment. Whatever might be the occasion, sweets make wonderful gifts to make the moment worth remembering for you and the receiver in the coming years and sometimes even for the entire life. When you say celebrations, you normally have to welcome and entertain both family members, neighbors, friends and other relatives. Indians and people of Jaipur, in particular, are well known for their hospitability. Having said it all, imagine how busy you will be as a host and where will you have time for preparing sweets at home or buying them from a brick and mortar sweet shop? But there is an easy solution to this problem and buying sweets online would that solution. The next question that might probably pop in your head would be to find a good online sweet store that is user-friendly, have unlimited sweets varieties to pick from, offer superior quality items or branded sweets, dependable customer service and prompt delivery service. Once you log into OYC you will find out that you have chosen the right online sweet shop that not only offers all the premium services you longed for as a customer and even more including round the clock online assistance, mind-blowing customization options, enormous discounts and offers for Jaipur sweets. 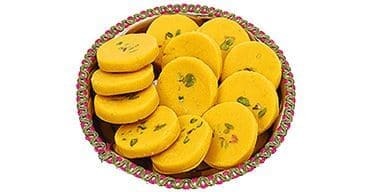 This online store is a perfect destination for buying Jaipur sweets in bulk as well. You can also send sweets as home delivery through OYC’s online service for the special people in your life. Here the special person could be your life partner, mother, sister, daughter, nephew, lover or even your teacher. Why just wait for a special occasion or festival like Diwali, Raksha Bandhan, Christmas, Holi, Eid, New Year, Birthday or wedding anniversary to wish and send gifts, when you have a whole year at your dispense. 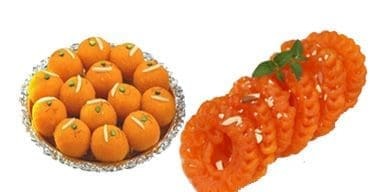 Place an order for your Jaipur sweets online during such occasions and avail discounts for the same. OrderYourChoice is not only providing best sweet delivery in Jaipur. We also provide good service in Cake Delivery in Jaipur. Cakes are essential when it comes to celebrating an occasion, festival or an event. It is evident that celebrations with cake have been a much festive than the ones without cakes. We have a wide range of cake flavors in amazing designs. The cake flavors we provide will categorized and suitable for various occasions. Our classification of cake flavors are Butterscotch, Vanilla, Strawberry, Chocolate, Black Forest, White Forest, Pineapple, Mix Fruitcake, Red Velvet, Blackcurrant, and the list goes on. Every cake flavor will be suitable for different occasions. You can select accordingly and place the order online. We'll make prompt delivery of cakes to your doorstep in Jaipur. We also have good service in Online Cake Delivery in Chennai, Online Cake Delivery in Bangalore, Online Cake Delivery in Ahmedabad, Online Cake Delivery in Hyderabad, Online Cake Delivery in Gurgaon, Online Cake Delivery in Delhi, Online Cake Delivery in Pune, Online Cake Delivery in Lucknow, Online Cake Delivery in Mumbai, Online Cake Delivery in Kolkata and many more cities across India. What are some of the famous Jaipur sweets you have in the store at OYC? OrderYourChoice maintains stock of some of the famous Jaipur sweets online like Ghewar, Kaju Roll, Kaju Katli, Motichoor Laddu, Mysore Pak, Mewa Ladoo, Paneer Jalebi, Kaju Katlis, Ghewar, besan Chakkis, Badam Katlis, Panchdhari Laddus, Raj Bhog, Keasar Ganderi, Ghajar Halwa, Malai Peda, Kaju Katli are some of the most renowned Jaipur sweets we have in stock. Do you deliver Sweets on the same day in Jaipur? 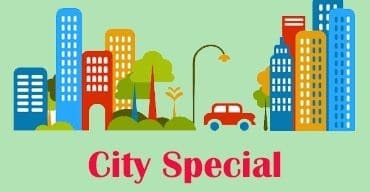 Orderyourchoice.com provides sweets delivery services in Jaipur on the same day. Through such services, we facilitate customers to celebrate occasions like Diwali, New Year, Holi, Raksha Bandhan, Christmas with our Jaipur sweets. In which location of Jaipur do you provide door step delivery? Amer, Bagru, Chaksu, Chandwaji, Chauru, Chomu, Didawata, Gopalpura, Govindgarh, Jaitpura, Jamwa Ramgarh, Jhotwara, Jobner, Kishangarh Renwal, Kotputli, Kukas, Mauzmabad, Nainasya, Nimera Phagi, Phulera, Renwal, Sambhar Lake town, Sanganer, Shahpura, Tankarda, Viratnagar are the places we carry out online delivery service. Delivery times can fluctuate in case of remote areas like Phagi Sambhar, Sanganer etc. Yes, we have various traditional sweets that can be bought online. 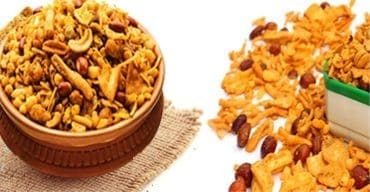 The range includes Sweet Somas, Groundnut Urundai, Manoharam Urundai, Adhirasam, Tirunelveli Halwa, Mysore Pak, Mewa Ladoo, Paneer Jalebi and many more. You have heard it right. OYC enables you to buy some of the signature sweet varieties of famous brands like Ganga Sweets and Sri Krishna sweets, online. 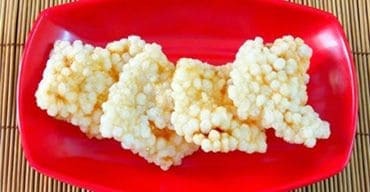 I would like to buy some of the unique and forgotten types of sweets online like the Chandrakala, Agra Petha, Ellu Urundai, Lavanga Lathika and so on. Can you provide those? 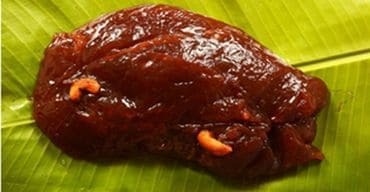 We are hosting a small party tomorrow for which we would like to buy2 kgs of Angur Basundhi and Maladu each online. Will you be able to provide delivery of these sweets without spillage and breakage? 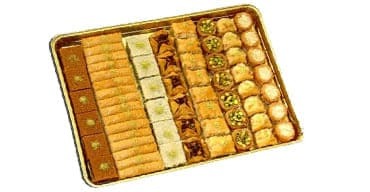 We are proud to say that all this long we have provided sweets delivery without any spillage or breakage as we take special care to pack them both hygienically and properly. Milk Cake from oyc was very good. Ate half kg of milk cake myself and it was very great taste. Thanks a lotoyc for the cake delivery in Jaipur. Not much of Online booking person but oyc delivered the sweets to Jaipur promptly at a very much reasonable price. Thank you for that. Ordered and Sent this sweet gifts to my friend in Jaipur. She received the parcel with perfect packing and excellent taste. Good work oyc. 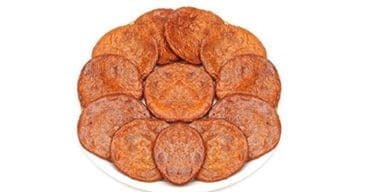 If you want to try Indian Sweets and Snacks and that too of high quality then you should definitely try OYC sweets online, they are taking necessary steps in improving their sweet varieties from various shops.